The Department of Defense (DoD) has ordered a full inquiry into how its laboratories handle toxic substances following the possible mishandling of plague and equine encephalitis samples. This comes on the heels of an incident earlier this year where a Dugway, Utah lab was discovered to have accidentally sent live anthrax samples around the world and across the country over a 10-year period. 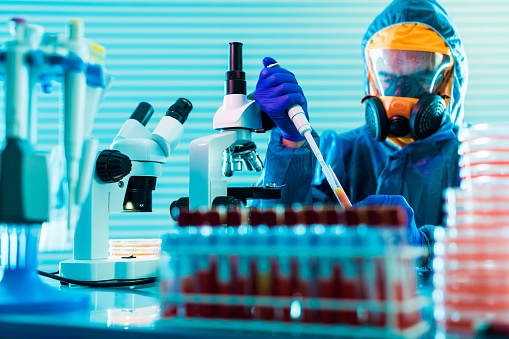 As a result of the report on the anthrax findings, the Centers for Disease Control and Prevention (CDC) began performing spot checks of several DoD labs. During one such check of the Dugway site, a sample of plague was discovered in a freezer outside the designated containment area for such pathogens. Initial tests found the plague sample to not be fully inert, but follow-up tests show that it was properly deactivated. Mislabeled samples of equine encephalitis were also uncovered. No laboratory workers have gotten ill from the diseases, and the CDC does not believe there is a risk to either workers or the public. The DoD investigation is aiming to find out how the mishandlings took place and what can be done to prevent them in the future. Due to the prior issue with the anthrax samples, the inquiry is also looking into whether the samples were shipped elsewhere. So far, there is no evidence to suggest that occurred. The plague is most known for being the disease that wiped out 60% of Europe between the 14th and 17th centuries. It persists to this day and the U.S. sees around 11 cases annually. Equine encephalitis is capable of being spread to humans via mosquito bites and is considered one of the most severe mosquito-borne illnesses due to its roughly 30% death rate and the brain damage that survivors often suffer. Shoichet, C., “Did U.S. Military Labs Mishandle Bubonic Plague?” CNN web site, last updated September 10, 2015; http://www.cnn.com/2015/09/10/politics/pentagon-investigation-bubonic-plague-equine-encephalitis/index.html.